Manual transmissions have a clutch that allows you to change gears when needed. There may come a time when your clutch fails while you're on the road. If you drive a car with a manual transmission, your car has a clutch. The clutch is a component used to connect and disconnect the transmission from the engine so you can change gears. It operates quite easily by pressing the clutch pedal on the driver’s side floor area, left of the brake pedal. Rarely, it occurs that your clutch fails while you are driving. Whether the clutch pedal breaks or the clutch disc fails, you could find that pressing the clutch pedal does not engage the clutch. If that happens, you can’t shift your transmission in the traditional way. You can, however, continue to drive your vehicle until you need to come to a stop. Driving a manual transmission vehicle without using the clutch is tricky to do and can cause damage to your transmission. It should only be used in an emergency and for a brief time. When you’re driving a manual transmission car and your clutch fails, you can still accelerate and upshift. Upshifting without a clutch isn’t a smooth action and is going to be harsh as your clutch can’t be used to ease the transition between gears. Step 1: Accelerate your vehicle to the point of the next gear change. The speed varies from vehicle to vehicle. Upshifting at 3,000-3,500 RPMs is a good range to try. Step 2: Simultaneously let off the gas and pull the shifter out of gear. While you let off the gas, the transmission doesn’t have pressure on it. The gear shifter should pull out with slight effort. If you wait too long to pull the shifter out of gear, you may have to rev the engine back up and try again. 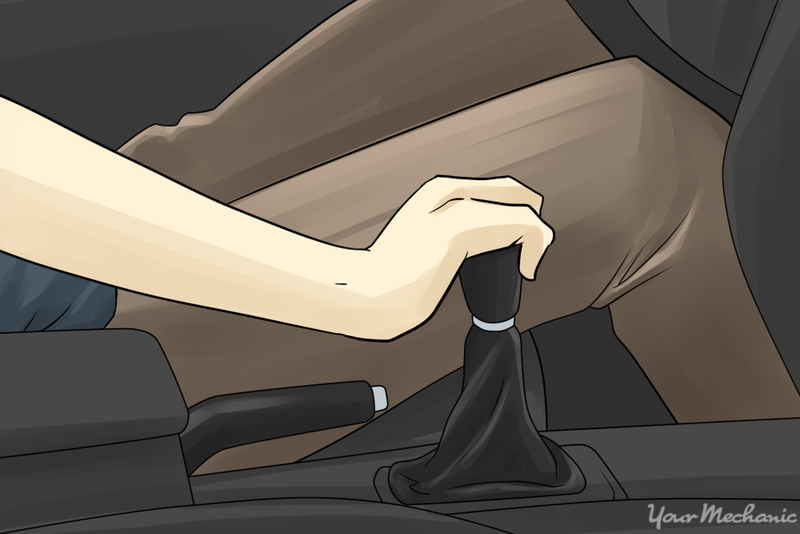 Step 3: Press the shifter against the next highest gear in sequence. If you’re in third gear, press the shifter against the fourth gear location. Apply moderate constant pressure against the shifter as the engine RPMs drop. Once the RPMs match the transmission speed, the shifter will slip into gear. Pressing too firmly will cause the gears to grind and pressing too lightly can cause you to miss the gear. Step 4: Accelerate up to the next shift point. Immediately once the shifter slides into place, press the accelerator to speed up. You can continue through your whole range of gears this way. You can shift down through your range of gears without using the clutch much like upshifting. Because your clutch is not being used or not working, you’ll need to use the throttle to control your deceleration. Step 1: Slow your car by lifting your foot pressure on the accelerator. Your car’s speed will drop slowly. Step 2: When your RPMs are 1,200-1,500, slide the shifter out of gear. Your transmission is now in neutral. You may need to “burp” the throttle to make this happen. Just lightly press the gas for a second then let the pressure off. This relieves pressure on the transmission, allowing you to pull the shifter out of gear. Step 3: Rev the engine up to around 3,000 RPMs. 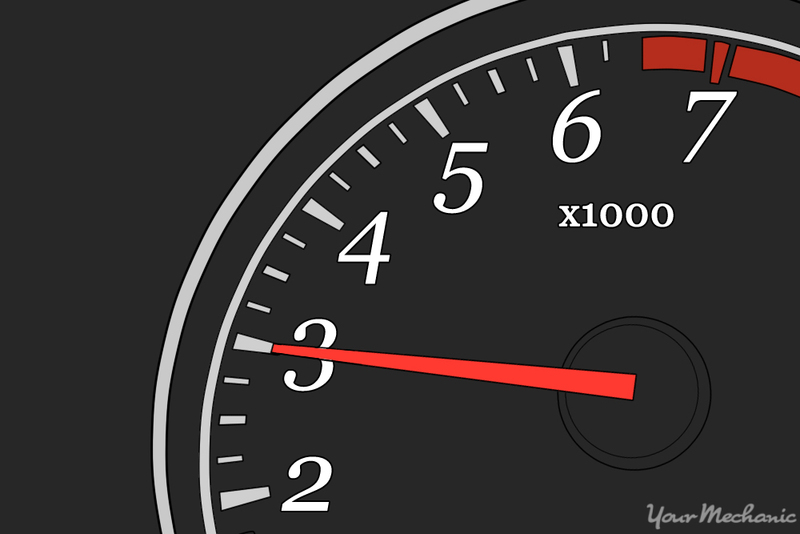 You want the RPMs to roughly match what they would be at the same speed in the lower gear. For example, if you are in third gear and need to downshift to second, roughly 1,200 RPM in third gear would achieve a similar speed as 2,500 RPM in second gear. 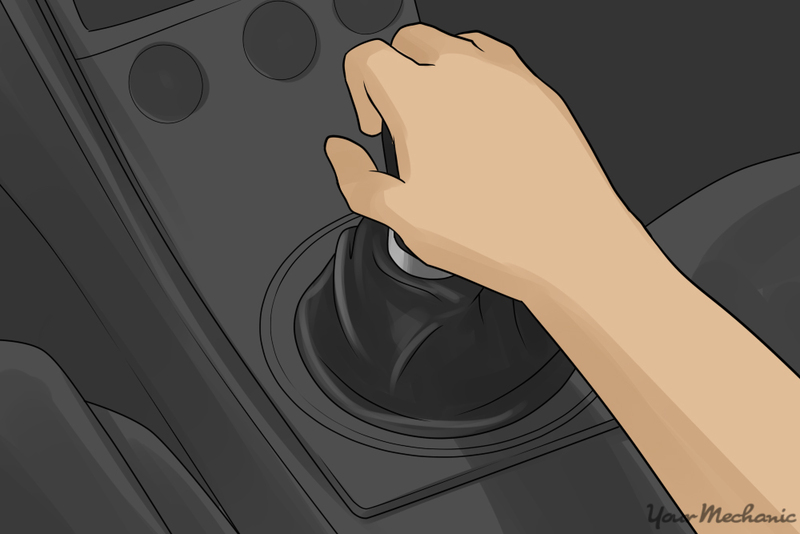 Step 4: Press the gear shifter against the next lowest gear. Hold the shifter against the gear using moderate pressure. Like upshifting, too much pressure will cause grinding gears and too little pressure may mean you miss the shift. Step 5: Let the RPMs drop slowly. When the engine speed matches the transmission speed in the gear you want, the shifter will slip into place. Use the throttle to either keep your speed or let off the accelerator to decelerate for another downshift. Once you come to a stop, you can no longer use this technique. It only functions while you are in motion as there is no way to engage first gear from a stop without the clutch. Driving a manual transmission vehicle without using the clutch is only possible when the vehicle is already in motion. If you are at a stop and your clutch doesn’t work, this method will not work for you. Be sure to have one your clutch inspected and repaired by one of YourMechanic’s certified professionals. Q: While driving at low speed trunk shifts into neutral? Q: How do I turn on the light on the vanity mirror?